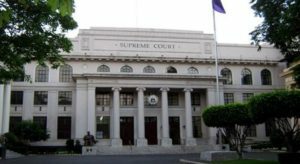 Thirty-five Boholano barristers were among the 3,747 who passed the 2017 licensure examination for lawyers administered by the Supreme Court. Of the 35, 16 are graduates of Holy Name University (HNU) under Dean Tomas Abapo Jr. .The new lawyers are Lynderle Bagotchay, Harold Bayarcal, Daisy Gie Cabatos, Edgar Calacar, Siegfred Caresosa, Lela Joanna Chiu, Jomel Noi dela Rosa, Adeline Glovasa, John Rey Laga, Mary Stephanie Lofranco, Nathaniel Pame, Randy Pingkian, Cheryl Ann Villares, Bryan Tan, Valerie Anne Torrefranca-Narona ug Lawrence Louie Uy. Two new lawyers were products of the University of Bohol under Dean Gregorio , namely Meralu Pague and Leo Nicanor Mejorada. Bohol Institute of Technology Int’l College under Dean Salvador Diputado produced four passers. They are Anthony Dei Dalida, Edmar Rodela, Seigfred Magallano and Cheryl Campaner Poquita. The other Boholano lawyers who graduated from schools outside the province are Riva C. Piezas, Mc Aldous Castañares, Geraldee Frances Cloma, Marites Espejo, Nick Aranilla, Ericka Jean Garcia, Lord Ronald Vaño, Zyra Cuevas, Eric John Torrefiel, Ivar Axel Camargo Ericson, Ma. Richam Medina-Cabutihan, Glenn Rey Anino, Maxim Cadorna, Paulene Kaye Bucag, Ruby Rose Maligmat ug Noneluz Hamlig , Jessa Faith Lumantas. and Jiselle Rae Aumentado Villamor, granddaughter of the late former governor and congressman Erico Aumentado. The 35 Boholano lawyers will take their oath at the SM Mall of Asia on May 22, 2017.